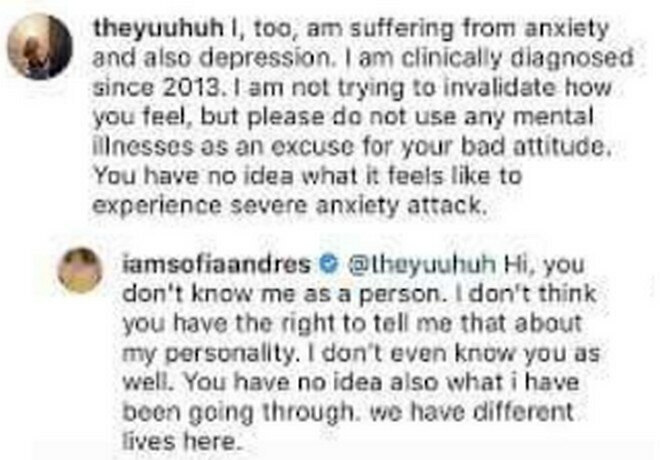 Sofia Andres recently shared on social media that she’s been battling with anxiety and is currently seeing a therapist. However, did this not sit well with some netizens. Sofia was also bashed after a blogger shared that she ignored the entertainment press during the MYX Music Awards 2018. Read: Sofia Andres nang dedma sa press sa MYX Music Awards?